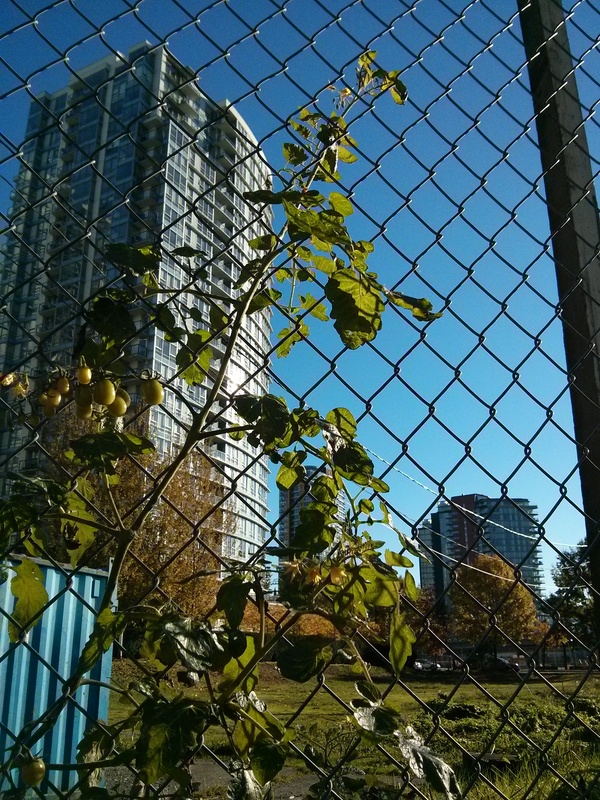 Grow little tomato plant, grow. No one at home makes my bed while I’m eating breakfast. The chill in the air is no longer an overzealous AC unit. Booo, winter. Bunker, dog park you need a special pass to access or just a vacant lot? But, a few things made everything a bit easier. Finding a little bit of summer, clinging to chainlink in defiance of the season and lifted legs. 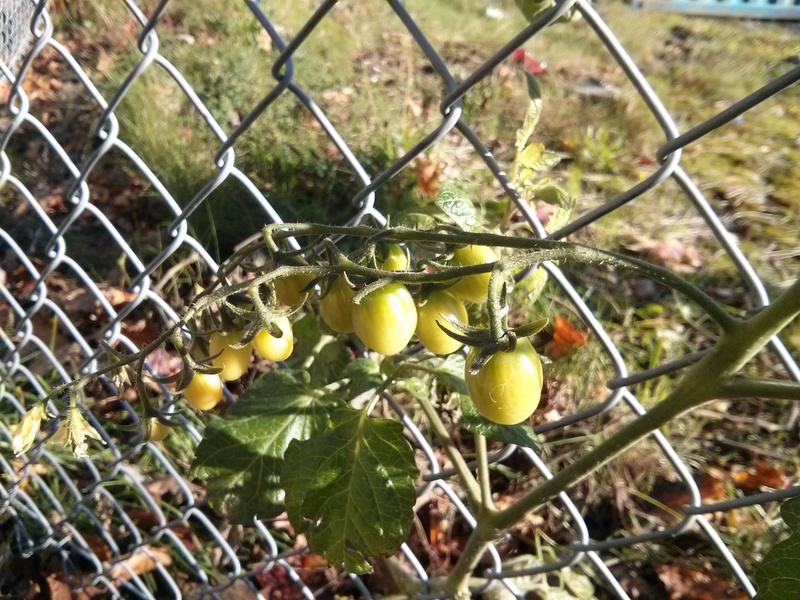 My little tomato plant friend is growing at the very edge of a vacant lot that someone has carefully protected with a chain link fence (perfect for training wild tomatoes apparently). I walked by the empty lot, (furry friend in tow, imagining how awesome the site would be as a dog park and wondering how to get the dog over the fence). I stopped to contemplate nature/inspect the fence for weak points when I realized that there wasn’t just one fence. The perimeter fence encompassed another fence which surrounded a corrugated blue hut and a power pole. ← Seriously? Is this a test?